Americans spent 64 minutes in eating and drinking as a “primary” or main activity, and 16 minutes eating as a secondary activity—that is, eating while doing something else. Men spent more time engaged in primary eating and drinking than women, and more women report engaging in secondary eating than men. Comparing data from 2014 (64 minutes) versus 2006-08 (67 minutes), time spent in primary eating and drinking declined by an average of 3 minutes a day while secondary eating stayed about the same at 16 minutes. More men reported consuming regular soft drinks while engaged in other activities, while more women reported consuming diet soft drinks. Those who consumed diet soft drinks had a higher average BMI than those who consumed regular soft drinks. Of household meal preparers, 89 percent had prepared meat in the previous week, and of those, 13 percent used a meat/food thermometer. Those who prepared meat spent an average of 51 minutes in meal preparation and cleanup, and those who did not spent about half the time, averaging 26 minutes. 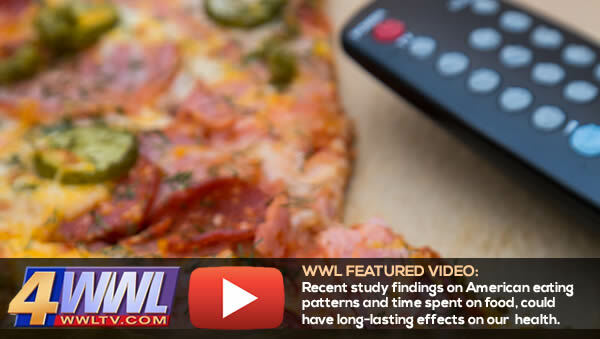 Obese individuals spent an average of 3.2 hours watching television and movies per day, compared to normal-weight individuals who spent an average of 2.5 hours a day. Two-thirds of normal-weight individuals reported exercising in the previous week, while 53.9 percent of obese individuals exercised in the previous week.